Gracie is an adaptable girl, who will fit perfectly in most any household! 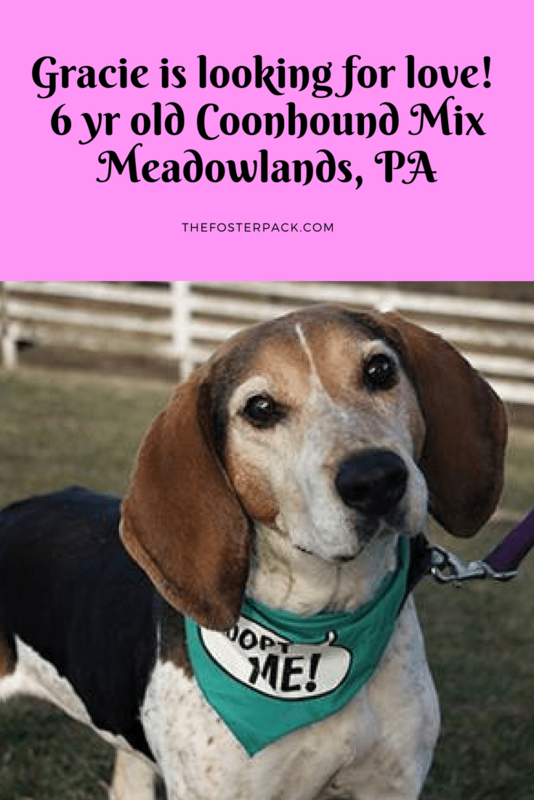 Gracie, 6 yr Coonhound, looking for love! At just six years young, Gracie is the perfect dog, as far as energy levels go. Always happy to go on walks, no matter the weather. She also happy just chilling with her people. 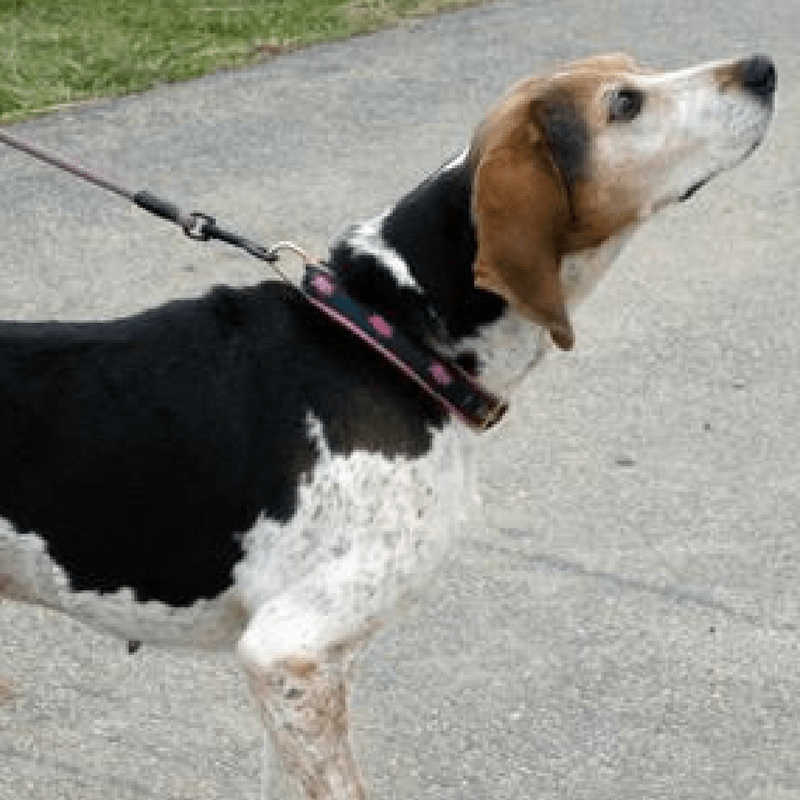 Although, as most hounds do, she loves to explore the world with her nose, she still walks great on a leash. Training Gracie will be a breeze. She’s very food motivated. And loves to be handled by her humans, whether it be brushing, petting, or just hanging out. Grace always loves being told what a good girl she, she’ll perk her ears up and turn her head. Gracie likes most other dogs, but hasn’t been around cats. She would need to be properly introduced to any new feline friends, to see how it will go. Recently, Gracie was diagnosed with diabetes, and has to have daily injections of insulin. The insulin is inexpensive, and she’s a great patient. So don’t let her little malady put you off from making Gracie a part of your family. We here at The Foster Pack have a soft spot for senior shelter dogs. Old dogs are great! Senior dogs (10 years +) make up over half of our pack.. They are such sweet souls! And there are tons of reasons to adopt senior dogs. 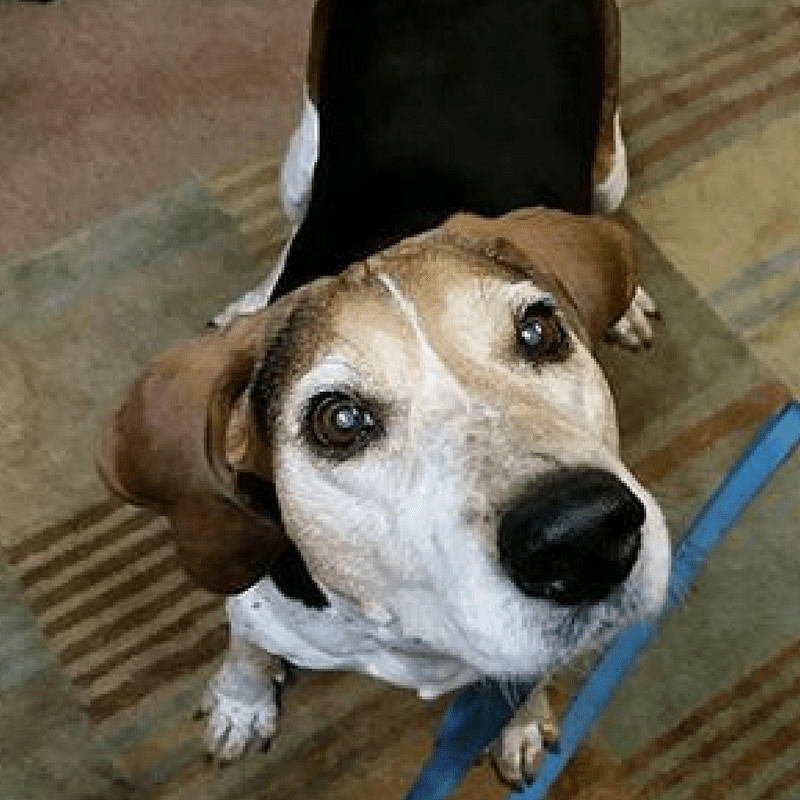 Such as 10 Reasons to Adopt Older Dogs.